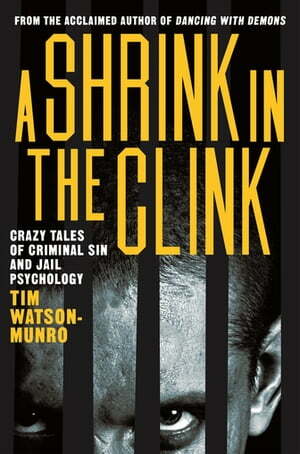 Collins Booksellers - A Shrink in the Clink by Tim Watson-Munro, 9781760782009. Buy this book online. DRUG LORDS. DEVIANTS. BLACK WIDOWS. HIT MEN. RIOT GIRLS. MASS MURDERERS. PSYCHOS. No one gets closer to Australia's craziest characters than 'Doc' Tim Watson-Munro, a criminal psychologist with 40 years' experience assessing the mad, bad and dangerous. In a riveting series of weird, funny and terrifying tales sure to thrill and chill true-crime readers, Tim reveals the warped minds behind crimes that shocked and intrigued Australia. Go with Tim to an underworld funeral of a master jewel thief who terrorised London. Meet 'Chooka' who was caught kissing the chicken of a shotgun-toting Mafia boss. Read a poem slipped to Tim by the Hoddle Street gunman after the massacre. Get up close with evil geniuses, terrorists, nuns on the run and natural born killers. Along the way Tim explains what triggers acts of madness in ordinary folks like you. Often confronting but always entertaining, A Shrink in the Clink is an extraordinary journey into the shadows and a brilliant insight into the shifting realities of the criminal mind.